In this second article in my series about DUI in Macomb County District Courts, we’ll be turning our attention to the 42-2 District Court in New Baltimore. Often referred to by Lawyers and those in the Legal community simply as “New Baltimore,” the 42-2 District Court handles cases arising in New Baltimore, Chesterfield Township, Lenox Township, and New Haven. Since this article is about the Court, anyone seeking more information about the DUI process should read those articles in the Drunk Driving section of my Blog which are relevant to their situation. 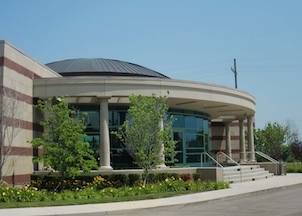 Located in another beautiful new building, this multi-jurisdiction Court is presided over by Judge William Hackel III. If the name sounds familiar, it should. His Father was longtime Macomb County Sheriff William Hackel, and was succeeded by his brother, Mark Hackel, who will become the County Executive on January 1, 2011. Judge Hackel was appointed to fill the vacancy created by the retirement of former Judge Paul Cassidy. I have to admit that when I heard the name of the new Judge, I wondered if he might not be a bit too pro-law enforcement. Deciding to keep an open mind, I entered his Court that first time hoping for a fair shake. I have left that Court every time since grateful for whatever alignment of the stars precipitated Judge Hackel’s appointment. To be blunt, this guy is awesome. If he’s pro-anything, it’s pro-fairness. You’d have better luck finding Elvis alive and well rather than anyone who has a bad thing to say about this Judge. Beyond being kind, and fair, his approach from the Bench is that of a regular guy. He talks to people like people, not things, or merely “Defendants.” While clearly a highly intelligent man, Judge Hackel feels no need to flex his intellectual muscle merely for show. He is truly a rare bird in combining such assets. That’s not to say he’s any kind of pushover. He’ll give anyone a fair break. But if you wind up walking out of his Court on Probation, and come back in for a Violation, you’ll be led out the back door, just as you’d expect. In DUI cases, Judge Hackel embodies the general approach of most Macomb County Judges that a 1st Offense can be as much a lapse in Judgment as anything else. In 2nd Offense cases, he likewise adopts the position that such a situation is generally evidence of a drinking problem. Rather than just toss someone in Jail, however, if the Defendant and Lawyer take the right steps, Jail can be avoided. 5.0 for a First Offense. 5.0 for a Second Offense.